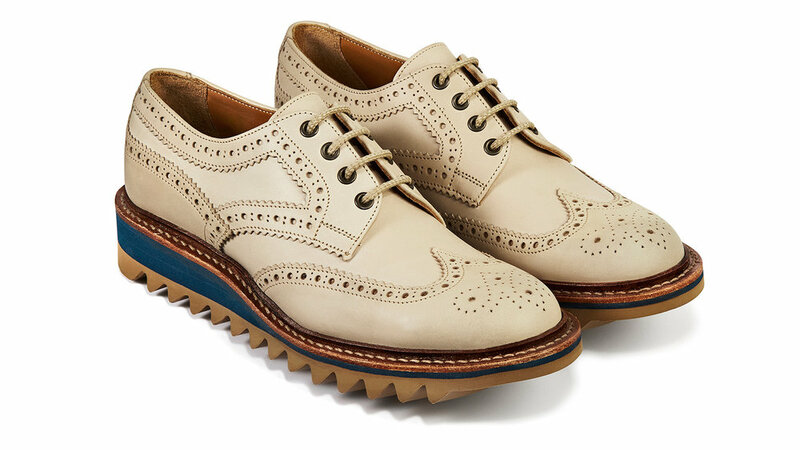 Tengri and heritage shoemaker Joseph Cheaney & Sons have created a new interpretation of the classic brogue. 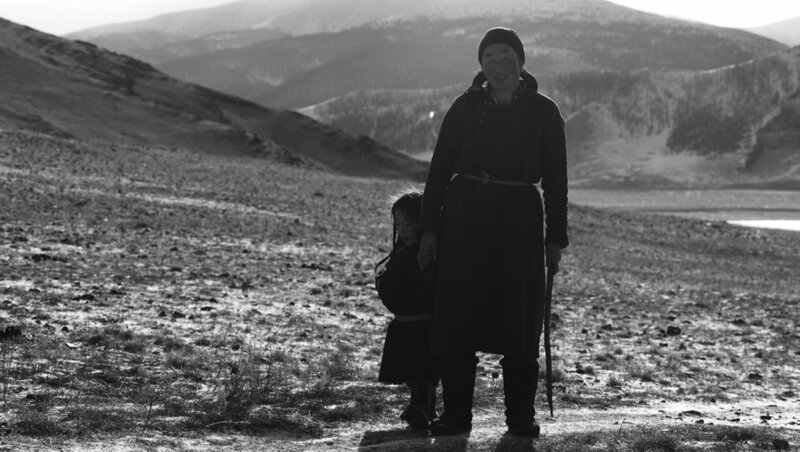 Khangai Mountain Brogues are the world’s first sustainable footwear made with Khangai Noble Fibres®, the result of a collaboration that celebrates global heritage, innovative craftsmanship and uncompromising sustainable style. 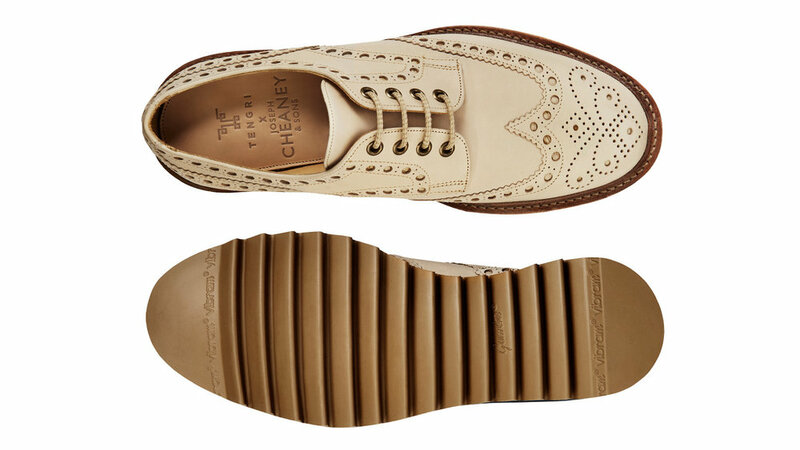 Making shoes for five generations, Cheaney was founded in 1886 in Northamptonshire, renowned as the home of English shoemaking. 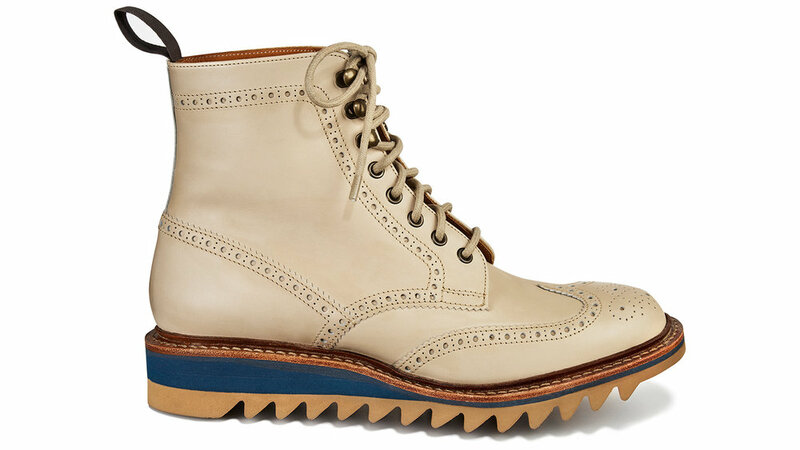 With a long-established reputation for British craftsmanship that produces timeless, classic lines, Joseph Cheaney & Sons also pursues innovative new ways to create quality, design-led products. Just 150 limited-edition pairs will be made to order for both men and women, incorporating performance and material innovation with natural and sustainable noble fibres. 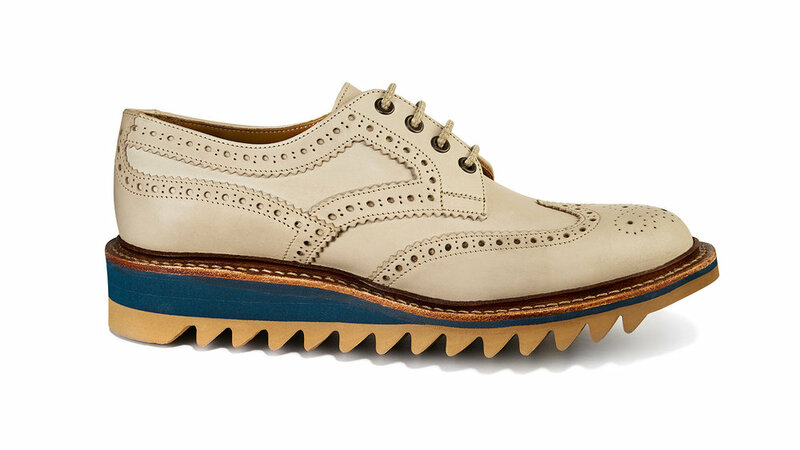 Designed for discerning, pioneering men and women, the Khangai Mountain Brogues combine form and function. With trainer-like comfort and an elegant look, they are engineered for taking on mountains yet smart enough for a boardroom meeting. 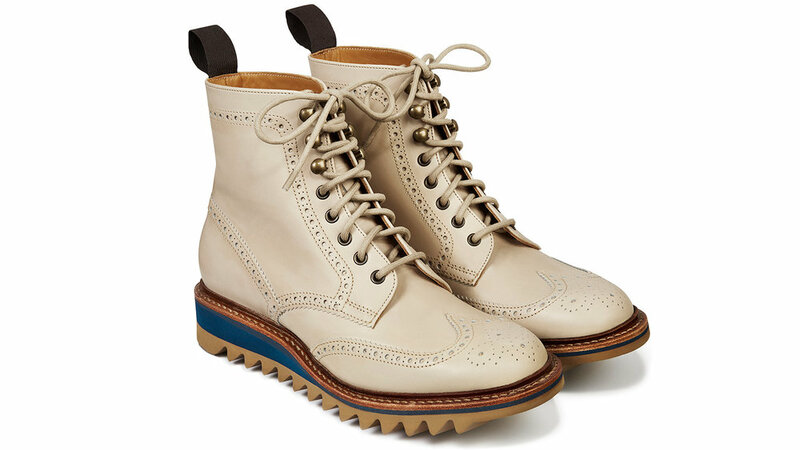 The collection comprises three styles: the Apex brogue shoe, the Vertex brogue boot and Pinnacle Chelsea boot, each crafted in ethically and responsibly sourced, single-origin, undyed leather. A layer of Mongolian sheep wool replaces the traditional rigid cork resin in the soles, while a lightweight Vibram Gumlite sole enhances the shoes’ grip, cushioning and durability. It takes 200 hand-crafted operations to make a single shoe, incorporating heritage craftsmanship with the fundamentals of longevity. For a truly unique style accent, we work with a patina artist to offer a custom colouring service. The ancient process of patina-staining uses natural pigments to colour the shoes, a technique dating back to the early 1900s. Fittings and pre-orders are also available from 11 April at Joseph Cheaney & Sons, 26 Henrietta Street, Covent Garden, London WC2E 8NA. Please call 020 7240 7030 or email coventgarden@cheaney.co.uk for more details. 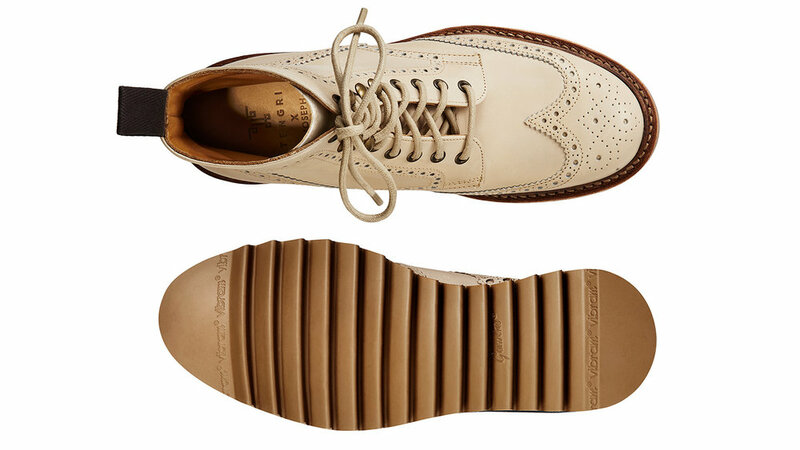 With proper care, Tengri x Cheaney shoes will give comfort, value and service over a considerable time. However, if after wear you wish to extend the life of your Tengri x Cheaney shoes, we are able, because of the quality of the materials used in the original manufacturing process, to offer a full refurbishment service.